Business description - Kapstone Facilities Management Ltd (KFML) is a provider of private security and facility management services in India. KFML has grown considerably over such a short span and is one of the leading service providers of Security Services in Telangana & Andhra Pradesh. It is an ISO 9001:2008 & OHSAS 18001:2007 certified company for providing Integrated Facility Management Services for Security, House Keeping, M&E (Electro Mechanical) and Landscaping (Horticulture) and allied services. Backed by a team of dedicated and expertised persons from multifaceted segments providing services to large private sector, Multinational companies and other sectors. Headquartered in Hyderabad (2 offices- Registered office and Corporate office), Kapston’s branch network consists of 4 additional branch offices and 8 training centres across 10 cities in 8 states. Of the above, the Government aided training centres under the prestigious ‘Deen Dayal Upadhyaya Grameen Kaushalya Yojana’ (DDUGKY) project under the Ministry of Rural Development (MoRD) in the states of Maharashtra, Karnataka, Odisha, Assam and Kerala in Security, Housekeeping and Hospitality-F & B services., All training centres incentivize corporates to Train and Recruit youth in select skills. 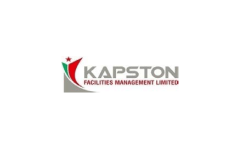 Kapstone Facilities Management IPO allotment status is now available on Bigshare Services' website. Click on this link to get allotment status.